Social media websites have become vital for successful digital marketing strategy. Regardless of the size of your company or type of products or services you provide, having a strong presence on social media platforms is a must. 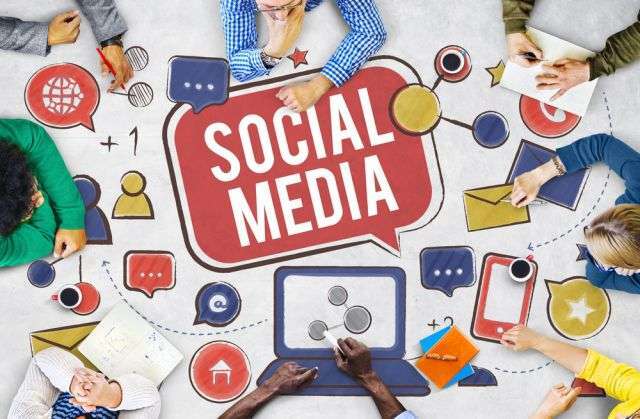 It is needless to mention that social media marketing is a cost-effective way to make your company visible to a larger group of people and grow your business. Implementing various techniques, collaborating with influencers, and posting unique content isn’t enough, you also have to see whether your approach is effective or not. Since we live in the era of technology, you can simply download an app that will give you a clear insight into social media marketing and provide a wide array of other benefits. SimplyMeasured poses as the world’s best social analytics platform created to help marketers get the maximum out of their strategies and efforts they make to promote products, services, business, you name it. According to the CrunchBase, more than 100,000 marketers and about 50% of the Interbrand 100 companies use SimplyMeasured on a daily basis to plan their social media campaigns, identify new opportunities, and optimize current activities for better results. When it comes to social media marketing, this app can help you find new audiences and influencers to extend your reach. At the same time, you can learn what, when, and where to post in order to increase the engagement rate. By analyzing onsite activity and URL sharing, SimplyMeasured drives more traffic with social posts to the official website of your business. Additionally, you can analyze leads, revenue, and purchases to enhance the impact of social media marketing on conversions. SimplyMeasured provides analytics across different social media websites such as Twitter, Facebook, LinkedIn, Instagram, YouTube, and Pinterest. You get to unify stats from different platforms in order to have a detailed insight into the efficacy of your social media marketing efforts. And most importantly, this app enables you to benchmark your statistics against the competitors. Brand24 is a social media analytics platform that comes with a social listening and influencer identification tool ideal for businesses that are looking to monitor the brand and reach a customer base and social audience. Basically, this useful app can help you do a social media outreach fast and effectively. As you’re already aware, choosing influencers isn’t just about looking at their follower counts, they have to be able to engage the people who follow them successfully. Brand24 gives you clear insight into mentions of your company or specific words so you can identify influencers who would be a right fit for your marketing strategy. While influencer marketing can help you reach more people and increase engagement, valuable content is necessary to retain them. You don’t want someone to click on influencer’s link or to see their post and get it over with. The goal here is to retain those visitors in order to turn them into customers or clients. Since people are more likely to respond to visual content than long texts, Canva is a useful tool that you shouldn’t ignore. What is it? Canva is a graphic design tool that utilizes drag-and-drop method and allows you to create infographics, posters, blog graphics, social media images, among many other things. The tool has a great selection of layouts, elements, images, and you can also upload your own photos, write something, and create a unique picture to post on different social media platforms. DrumUp is a social media management tool that every marketer needs. Business owners will find DrumUp useful, as well. Instead of logging into different websites separately and posting on each one by one, you can just use this tool and have an access to all platforms instantly. According to the Marketing Automation Trends Summary Report, 91% marketers believe that marketing automation is a vital part of social media success. This is where DrumUp steps in; it allows you to curate and manage content for different social media pages on a single platform. You can choose various scheduling options, store content in the in-built library, attach RSS feeds to source content, and many other things including mentioning different keywords. Entering keywords ensures you get a wide variety of content suggestions, but you can also enter negative keywords to filter out all the content that you don’t want to share. This is an ideal app for you if email marketing is still an important aspect of your marketing strategy. GetResponse offers flexible plans, multiple extra features, allows up to 1000 contacts and gives you an opportunity to create and deliver emails that look great on any device. The world’s easiest email marketing platform has more than 350,000 customers and it’s available in 21 languages. GetResponse offers a wide array of simple but powerful solutions regardless of the size of your company. The Perfect Timing option ensures that your email isn’t buried among many other emails that the subscriber receives on a daily basis. This is because this feature sends an email when the subscriber is most active, and therefore, more likely to open and read your message. The success of your social media marketing efforts depends on the tools you use. These simple apps help you find influencers, check the engagement rate, post content easily, and boost traffic. It is needless to mention they provide a detailed insight into your campaign which helps you identify strengths and weaknesses to improve and evolve. Vivian Michaels is a huge tech enthusiast, who likes to write articles on evolving technology. He is a Computer Science graduate from East Stroudsburg University, Pennsylvania, and has written for a various websites like ProvenSEO, VentureBeat, etc. Follow him on: Facebook, Twitter or LinkedIn.